Your customers directly impact the success of your practice, so treat them well! 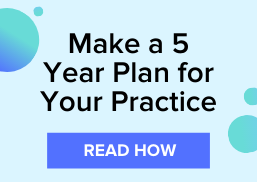 Our friends at The Optical Vision Site realize that it can be hard to keep up with the best customer service practices, and they thought they'd help by sharing a quick check list to help you improve the quality of your service at your eyecare practice. Here's what they have to say. Are you in the business of patients or eye exams? I came across this list and adapted it for the optical professional. 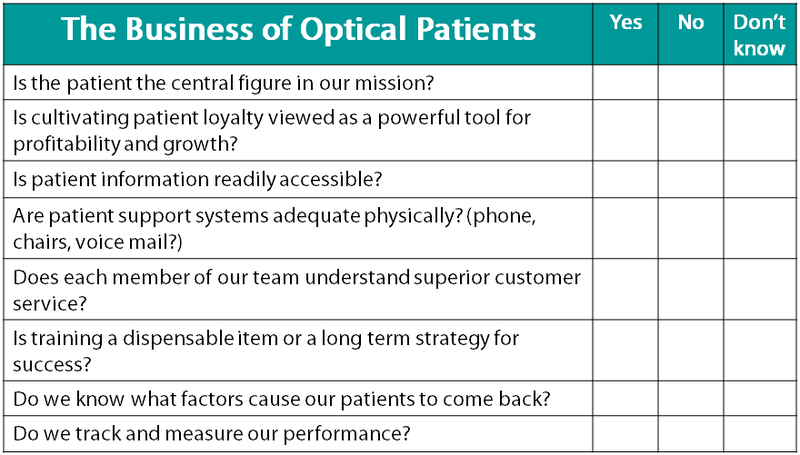 In the day to day business of life, we can all tend to forget about our optical patients as customers. Let's not forget the little things, like not answering the phone in 2 rings, not acknowledging the customer when they walk in the door, and the most irritating is being on a personal phone call while the optical patient/customer is waiting. That just happened to me the other day and quite honestly I walked out! There are just too many other places to go and purchase what I need, than to wait for this kid to stop talking to her friend on the cell phone. Use this list and take a look at yourself and the office and make adjustments if you need to.